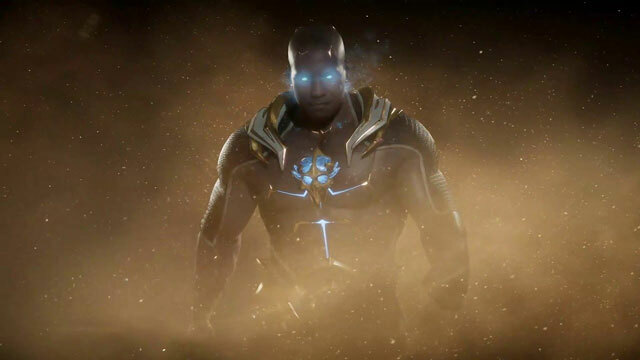 Geras is the new, time-manipulating fighter in the Mortal Kombat 11 roster. He can control time, since he serves the goddess of time. Quite literally; it’s not enough that he can slow down or even stop his enemies, he can also mess with the match timer itself. Oh, and his Fatality includes slapping the back of the opponent’s head so hard that the face and brain fly clear out of the skull. Cool. Like every fighting game, Mortal Kombat has had a huge roster of characters over the years. Some of them have become franchise staples, firmly ingrained in the rich and confusing, topsy-turvy lore, like Ermac, for example. Then, there’s those that remain just one-offs that nobody really likes and are best left to oblivion. For reference, see the early 2000’s trilogy of MK games, with a special mention of Mortal Kombat Deadly Alliance, that didn’t birth a single character worth bringing back. So far, at least; they might pull Onaga or somebody else out of the hat at in the future, for all we know. This impromptu TED talk of mine brings us to Geras, the fresh new face of Mortal Kombat 11. As I understand it, he’s the servant of the goddess of time, Kronika (yes, really). Apparently, she’s been behind the whole Mortal Kombat thing since the very beginning, and is now coming to set Raiden straight for messing with the flow of time in MK9. So, as her henchman, Geras has some really cool time-related powers. On the metaphorical side, he uses sand to create various objects to hurt opponents with. See what they did there with the “sands of time” thing? Still, it’s better than goddamned Erron Black and his sand bombs. The more interesting powers Geras has concern actually controlling time. You have the stuff that you’d expect, such as slowing the enemy down, rewinding them, or stopping them in their tracks. That’s all well and good. However, as you can see in this tweet from Regular Ultradavid, Geras can control the actual match timer. He just up and takes off 30 seconds from the clock. Imagine the tactical and strategical implications of this ability. It sounds like a lot of fun to play with. We’ll see just how fun, starting April 23rd, when Mortal Kombat 11 launches.